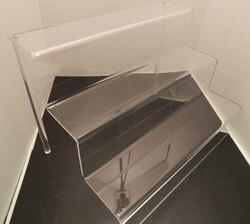 With this clear acrylic display stairway you can create a unique display area that is also functional. 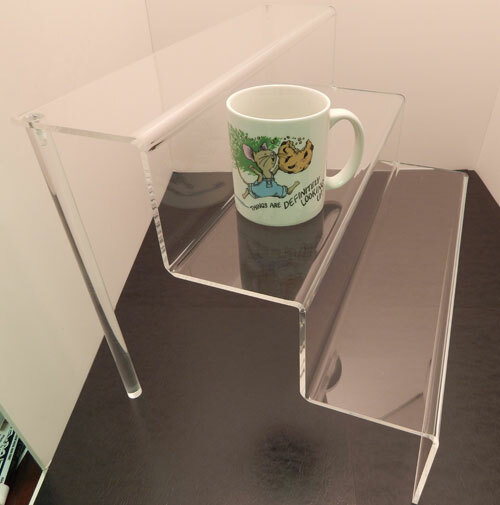 The tiered design allows you to easily organize your different products. The tiered design also lets you display multiple items on one stairway. 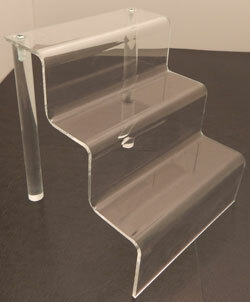 The materials used in the construction of our stairways is the highest quality acrylic to ensure durability. 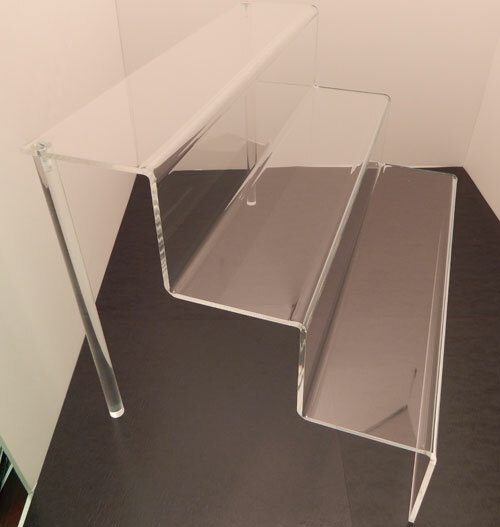 We carry multiple sizes to provide choices for many different display situations.